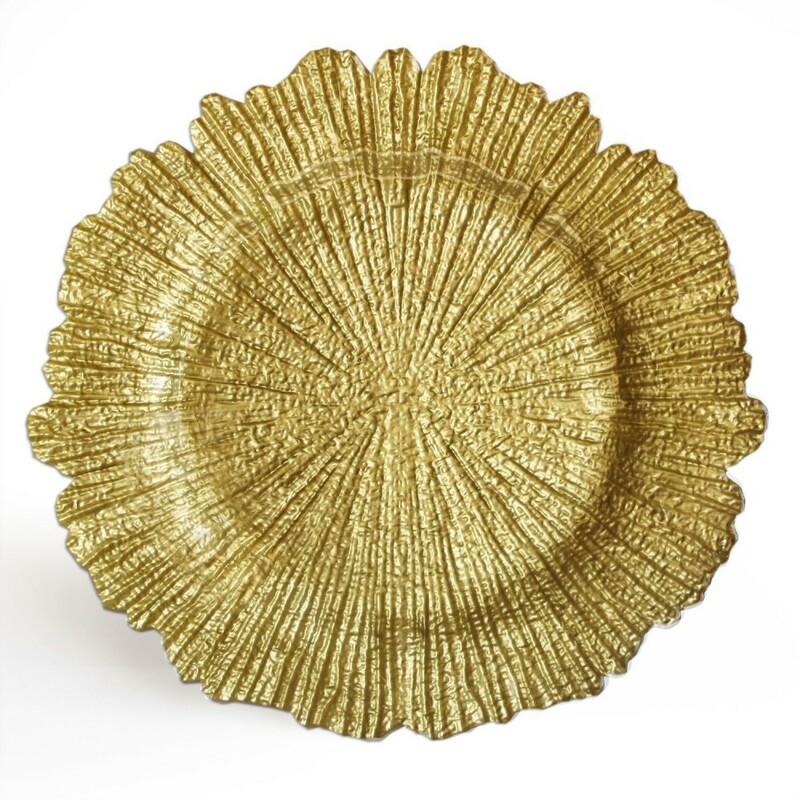 ChargeIt by Jay Reef Gold Charger Plate 13"
Home > Products > ChargeIt by Jay Reef Gold Charger Plate 13"
Add a touch of elegance to any table with the ChargeIt by Jay Reef Gold Charger Plate 13". Textured and reef shaped, this product will provide a unique yet sophisticated backdrop for dinnerware. This piece is carefully crafted to create an upscale look and feel, perfect for serving multi-course meals at fine dining establishments and formal affairs. Designed for style as well as functionality, this item not only enhances the food presentation but also prevents spills and mess from staining the table. Constructed from high-quality glass, this product is durable and food safe. To keep this charger plate in good condition, hand washing is recommended.